All right, let’s finish up this edition of Making it Yours! (It’s been a while, I know.) We’re following two chairs with nearly identical shapes and very different upholstery, seeing how they each work in a variety of spaces. We’re also following Marie, the fictional owner of said chairs. We first saw the two chairs in her living room, and when we last checked in we saw them in a bedroom and an office. Marie was traveling a lot for work then, but she has since accepted a new position and is able to stay in one place. More time to spend with friends, and more impromptu get-togethers at her place! And speaking of her place, she had been happily living there alone all this time but has recently gotten a new roommate: a big, lovable, shaggy mutt from a local shelter. Woof! 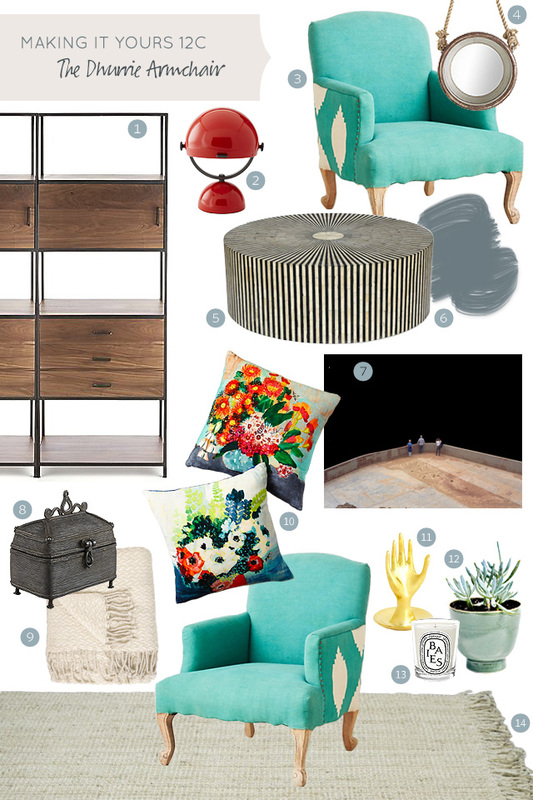 So let’s see the final two looks for the Lincoln and Dhurrie armchair. Just as you would use and reuse items in your own home over time, we have some items from past looks showing up in these new designs. In the first, the mirror, rug, and brass hand have all been incorporated before in different ways. I’ve also added a matching Dhurrie chair, and I imagine this space to be similar to the landing/library in my first house. 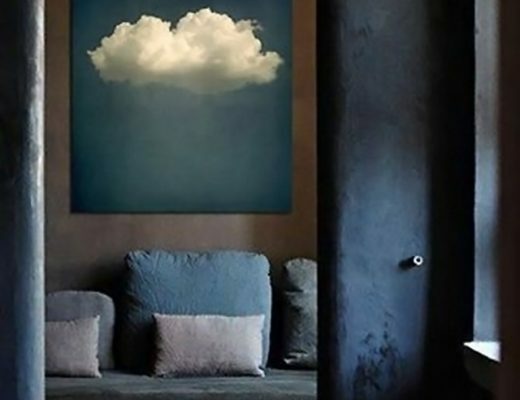 Just enough room for some bookshelves and a place to sit, but that doesn’t mean it can’t look great. Next, for the Lincoln armchair, I wanted to revisit the blue and orange accent colors from its first look in a way that feels like a natural evolution. Marie is a little older and her taste is more sophisticated, but she still has a fun sense of style and appreciates a bit of quirk! 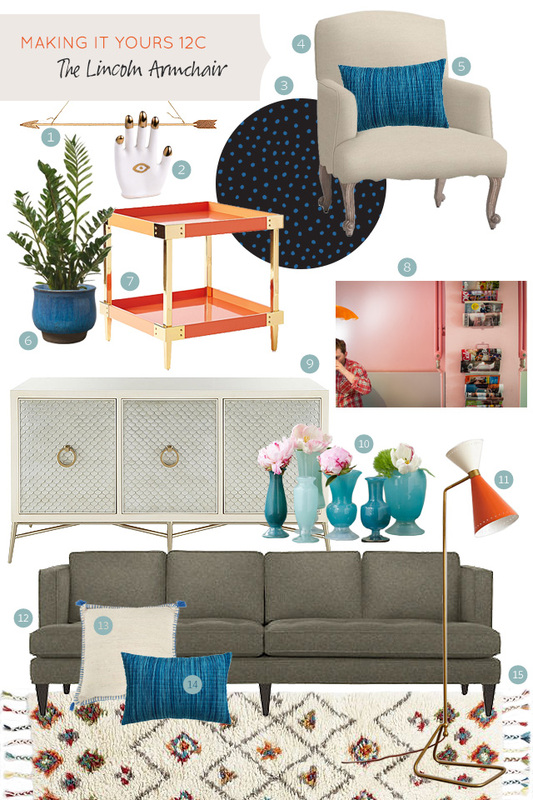 Here again, we see some of her older pieces making another appearance in this living room design, like the hamsa hand, blue vases, and whipstitched pillow. I loved the creative challenge of creating six looks around these chairs, and I hope you enjoyed following along! Here are all of the looks again, so you can see them together. Which was your favorite? I’m loving the very last one with that killer orange table. 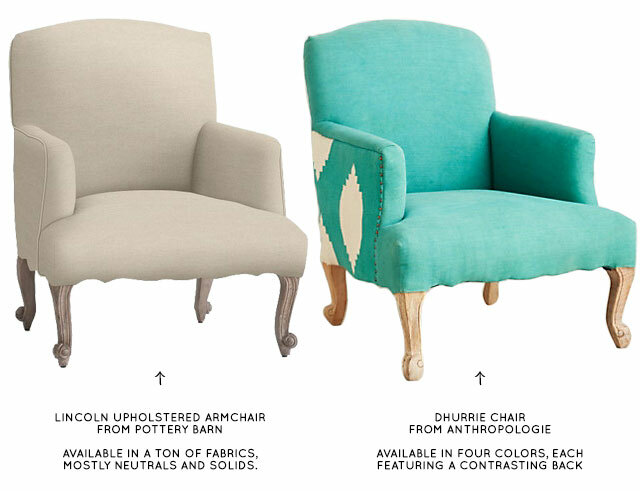 Interestingly, I prefer all of the Dhurrie looks, though my original thought was to choose the Lincoln chair. Clearly, I am still working on getting crazy color/super neutral balanced in my personal style! 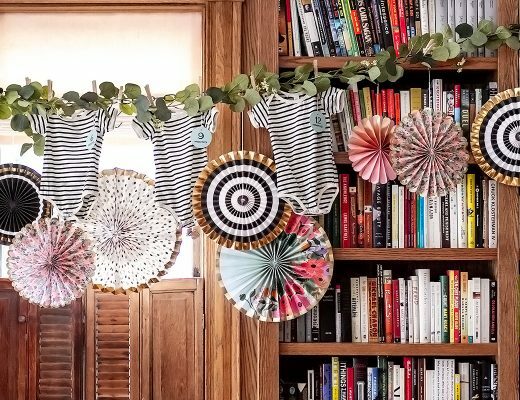 I like them all but I have to chuckle @ some of the similarities todays décor has to what was available in the sixties and seventies when we were trying to figure out what to buy. Everything old is new again. Every post is required to have a snap of the Baby…………..please? I am in love with your entire 12C design for the Lincoln Armchair!!! If only I had the money. Piece by piece, step by step, right? :O) Keep up the good work, mama. I can’t decide which I like better! Oh Gosh! 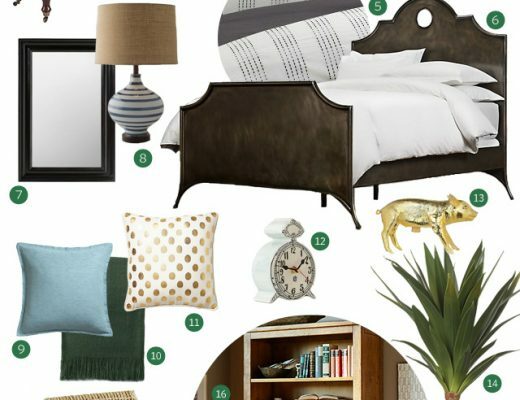 There are pieces from each room that I really love! Awesome job Nicole!